Nationally, about 1 out of every 10 public school students is an English-language learner. And as a presenter pointed out during an education panel at last Friday’s Mount David Summit, the numbers are even higher locally, where 25 percent of the students at Lewiston High School are ELL, due to the influx of immigrants and refugees to the city in recent years. With ELL instruction a national topic, Bates is helping to develop improvements at the local level. One really effective approach, as described by students during the panel, is surprisingly simple. First, assign readings that are relevant to the ELL students’ own life situations. Second, organize the students into small, facilitated groups to discuss those readings. Of course, there’s a bit more to it than that. But the combination of so-called literature circles and culturally relevant texts, the students found, instills the language in ways that resonate beyond the ELL classroom. And student engagement during their field research was high. 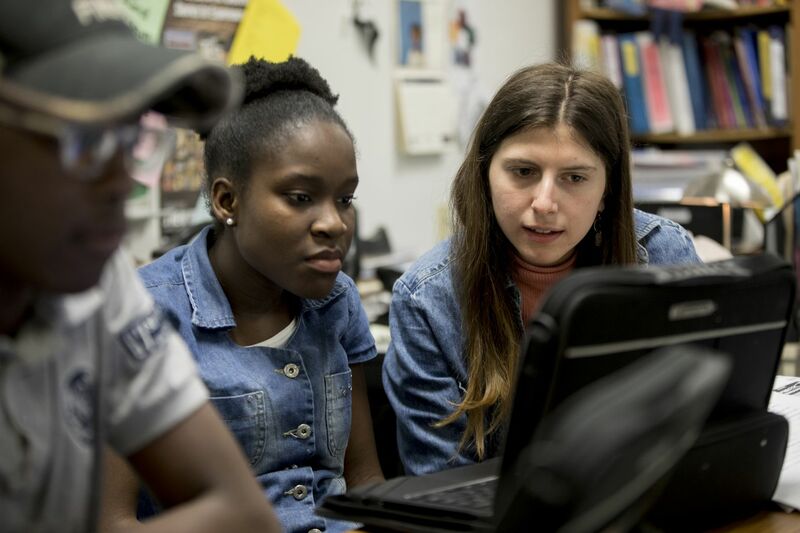 “Those two findings really support each other, because as students become more proficient, they’re going to be more engaged with the text,” said Allison Berman ’18 of Philadelphia. “And as they’re more engaged with the text, they pick up more proficiency. 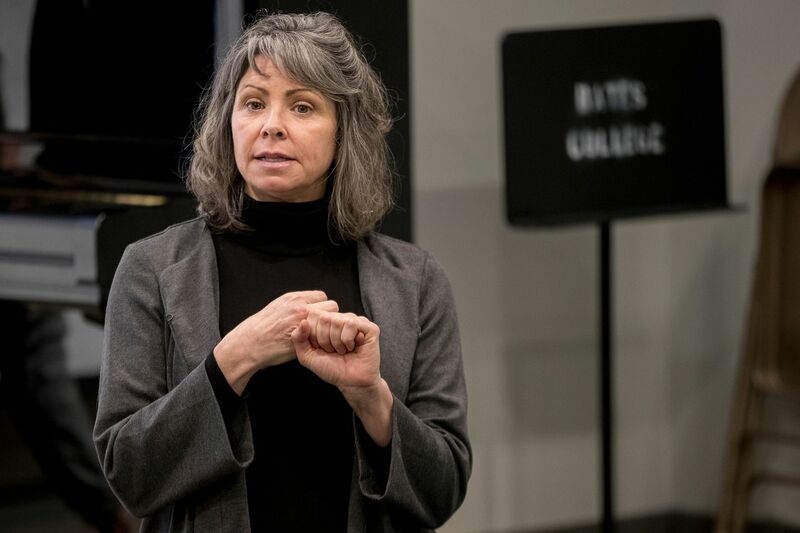 Berman and the 12 other seniors in the session are education-studies minors who, last fall, took a capstone seminar, taught by Associate Professor of Education Patricia Buck, that’s dedicated to community-engaged research. At the Mount David Summit, the class presented findings from the semester’s two research projects. Looking at systemic factors that could impair ELL instruction, the Bates group focused on the fact that immigrant and refugee students arrive at LHS with varying levels of education and English proficiency — to say nothing of cultural backgrounds much different from their native-born peers. 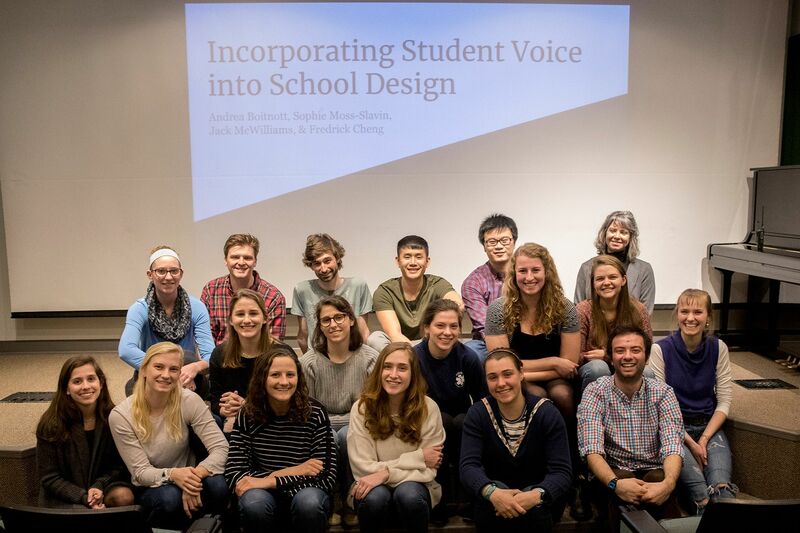 “We wanted to examine a potential disconnect between school curriculum and the lived experiences of these students,” explained Meghan D’Arcy ’18 of Concord, Mass. For the circles, they selected books spanning a range of reading levels but having in common the theme of immigration to America. “We thought that the small, supportive setting” of the circles “was ideal to introduce culturally relevant texts,” explained Brooke Drabkin ’18 of Roslyn Heights, N.Y. The seminar students prepared homework and vocabulary sheets and even recorded audiobook versions of the selected texts (only to be teased about the sound of their voices by the ELL students). The ELL students, who had come to the U.S. between one and three years prior to the project and were between 15 and 19 years old, were grouped by skill level. The circle leaders aimed to facilitate, not drive, discussions about the readings — discussions that entailed, along with grammar and vocabulary, issues of identity, coming-of-age, race, class, gender, and high school social life. “We allowed them to [lead] the conversation so that they could connect with the texts in ways that were most interesting to them, and that’s what fueled the most productive conversations,” said Hannah Singer ’18 of New York City. The team assessed the efficacy of the circles in four categories: student engagement, sociocultural connection, ELL proficiency, and, finally, by comparing their own experience against the education literature. Especially in the first three categories, the method’s value was apparent. Berman shared quotes from the ELL students illustrating so-called text-to-life and text-to-world connections that they made from their reading. One of the latter, an exchange between two girls, was particularly striking.